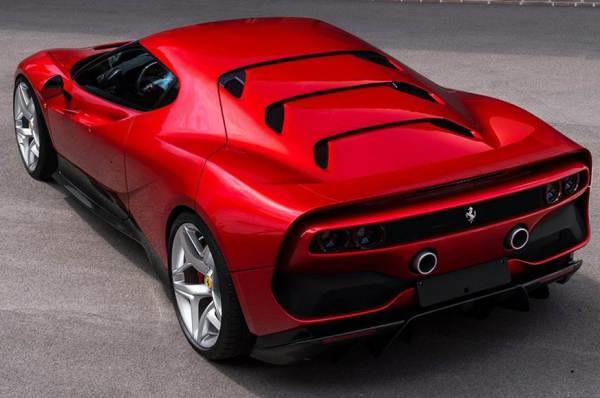 Ferrari, the Italian sports carmaker has launched a one-off model known as Ferrari SP38. 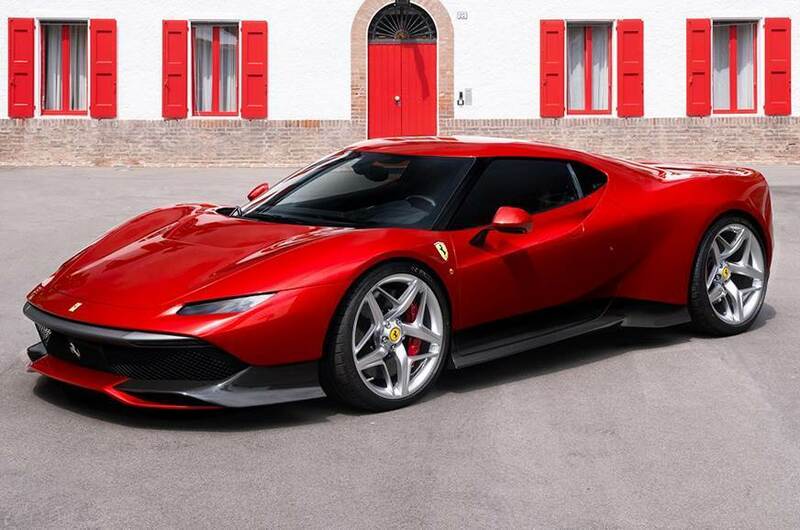 The Ferrari SP38 was unveiled at Fiorano, where, after the ceremonial handover to one of Ferrari’s most dedicated customers, the car was immediately put through its paces in a series of hot laps. The SP38 is designed by Ferrari Design Centre on the chassis and running gear of the standard 488 GTB, this unique car reflects the specific vision of a client with a deep passion for racing. Ferrari SP38 gets a brand new body work that features newly conceived 3-layer metallic reds which is completely different in terms of body design when compared to the donor car. The twin-turbo, twin-intercooler set-up of the 488 GTB inspired the Ferrari team to reference mighty F40 as an icon from which to instruct the project’s general direction. 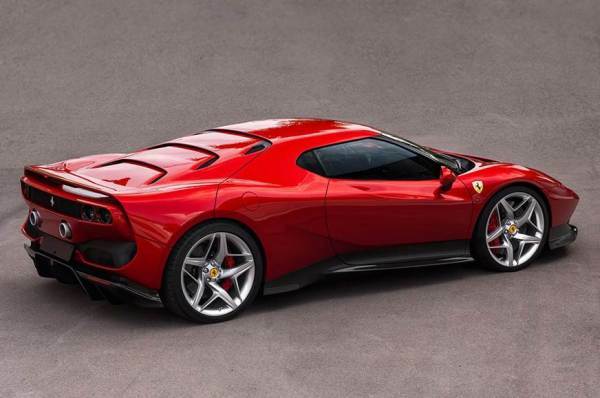 Compared to Ferrari 488 chassis, the visual mass of Ferrari SP38 appears concentrated over the rear wheels as the wedge design sharply stretches towards the front. Talking about the engine, The all new Ferrari SP38 is powered by 3.9-litre twin-turbo V8 engine which is seen in the 488 GTB. The ngine of Ferrari SP38 produces 670hp of power and 760 Nm of torque. The official performance figures are likely to remain unchanged. Ferrari SP38 can sprint from 0-100 kmph in three seconds, up to a top speed of 330 kmph.